Adorable two bedroom, one bath, single level home on a double-sized corner lot in Lakeport! Fenced in back yard, detached single car garage, and interior laundry. This vintage charmer is absolutely move-in ready with so much potential!! 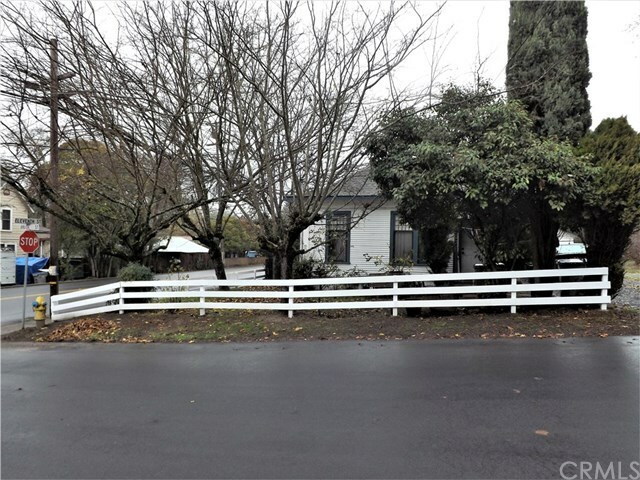 Extra large corner lot has room for expansion or possible second unit. Walking distance to shopping, dining, banking, post office, the library, downtown Lakeport, and the shore of Clear Lake for recreational activities. Directions: HWY 29 to 11th Street to property on the corner of 11th and Brush Street.